In Skin Renewal, Don’t Forget Your Hands! Most of us study our faces in the magnifying mirror (admit it, you do!) to identify which spots or frown lines we need to treat next. While your face is the first thing people see when they meet you, it doesn’t take long for them to notice your hands. What do your hands say about your age? Does your face look 45, while your hands look 75? 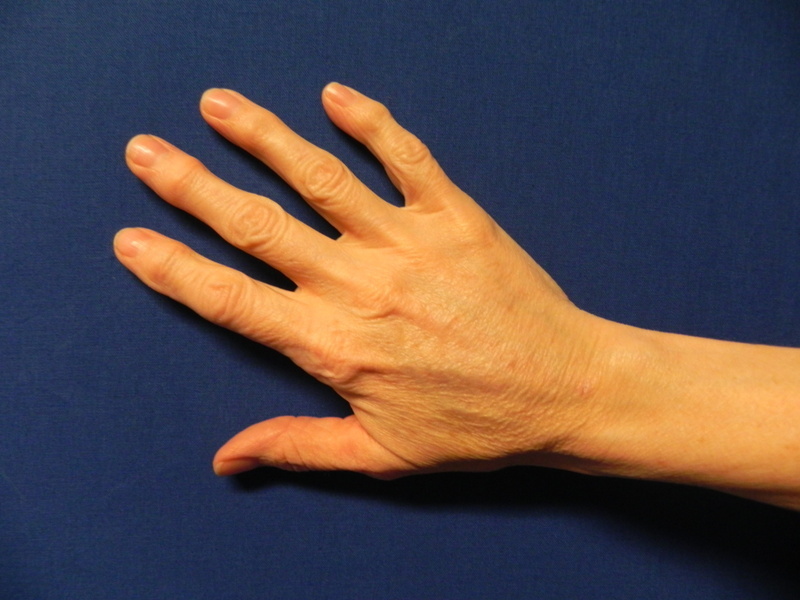 The skin on your hands is extremely thin and ages quickly. Add to that the fact that hands are constantly exposed to the elements and that we often neglect them as we slather on the sunscreen. When the skin on your hands loses its plumpness, the veins – which are close to the surface – can begin to stand out. Thin, crepey skin plus stand-out veins and your hands can look much older than your face! There are things you can do to improve the appearance of your hands. You can get the occasional paraffin hand treatment. You can use retinoids or other treatment products…most of the top skincare lines include serious hand formulas. Lasers can remove some spots and tighten. But did you know that the fat transfer process – utilizing your own cells – can work great for hands? It’s really a no-brainer. If you’re going through the Adivive fat transfer process for filling lines and depressions on your face, you should also plan to treat your hands. 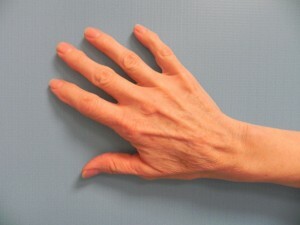 Even if your face doesn’t need stem cell treatment quite yet, maybe you should think now about your hands. Your hands shouldn’t make you appear older. Because there are some times when gloves are just not an option! This entry was posted on Monday, April 16th, 2012 at 9:14 am	and is filed under Uncategorized. You can follow any responses to this entry through the RSS 2.0 feed. Both comments and pings are currently closed.